If you’re the ultimate nature lover and always crave discovering more local festivals, then the Northern Coast of California is one of the most beautiful areas and has tons of exciting events to add to your bucket list. Mendocino, in particular, is one of the top destinations along the shore. Between its scenic landscapes, fabulous hiking opportunities, and diverse wildlife, this gorgeous seaside town is the place to be! Plan a visit during one of the most interesting times of the year—whale watching season. The Mendocino Whale Festival is a marvelous way to experience the beauty of the area in a fun and exciting atmosphere! Held every March, the festival gives visitors the opportunity to observe majestic whales in their natural element and also provides delicious food and wine tastings. Read on to learn more about the festival and start planning your trip today! Do you want to learn even more about Mendocino before your visit? 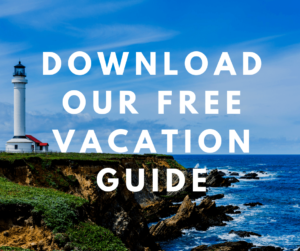 Download our free Vacation Guide and get our top recommendations! You’ll find information on the top restaurants, museums, shops, events, outdoor adventures, and more. Mendocino is a wonderful destination to visit all year long, but when it’s paired with a great event it’s even better! Held every year in March, the Mendocino Whale Festival is a local favorite. It offers a mind-blowing spectacle that only a few people get the chance to witness! The Mendocino Coast is on the migration path of more than 20,000 California gray whales every year, offering you the best chance to spot one of these majestic creatures. They travel from Alaska to the hot waters of the Baja Peninsula, and the journey is truly breathtaking. At the festival, you get to experience the power of Mother Nature as these impressive sea creatures spout and dive, continuing their journey down south! Make the most out of the jaw-dropping setting that surrounds you and enjoy tasting delicious California wines and fantastic local food! The Mendocino Whale Festival is unique in the sense that it provides an experience rather than just a show. And, that includes all senses! Dive into the Northern California culture as you get a taste of some of the best chowders in town. Add a glass of wine from over a dozen local wineries, or, if you prefer beer, try of one the craft brews from North Coast Brewing Company. The Mendocino Whale Festival is definitely a fun activity but can be exhausting after attending the event for the entire day. After the festivities are over, come back to a lovely room at Sea Rock Inn! Our Inn is a coastal dream-come-true that you can’t miss. 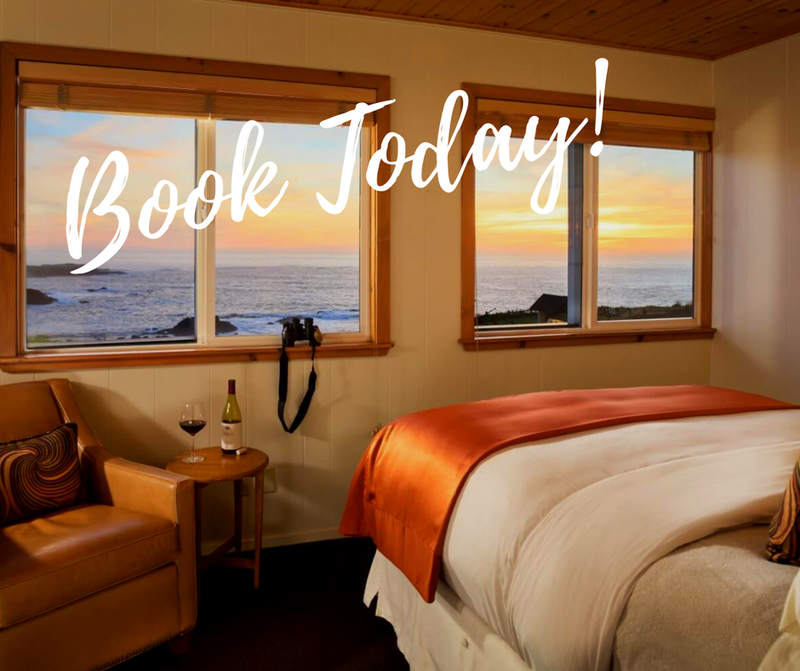 Come see for yourself why our cozy accommodations are the perfect place to rest and admire stunning ocean views right from your bed! For some extra magic, book one of our Junior Suites! Picture yourself laying next to the wood-burning Franklin fireplace with a glass of wine in hand. You can then slip into a complimentary robe and lay in a beautiful queen bed and dream away with the sound of the waves crashing in the distance. Wake up the next morning to the sandy smell of the nearby shore and join us in the main inn where a delicious homemade breakfast is served. You’ll love our fresh scones, raspberry-filled croissants, and sun-dried tomato and spinach quiche!